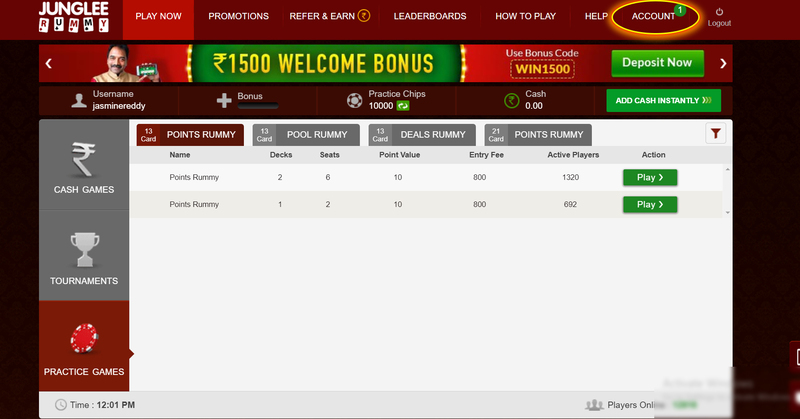 It’s very easy to verify your email ID on Junglee Rummy. 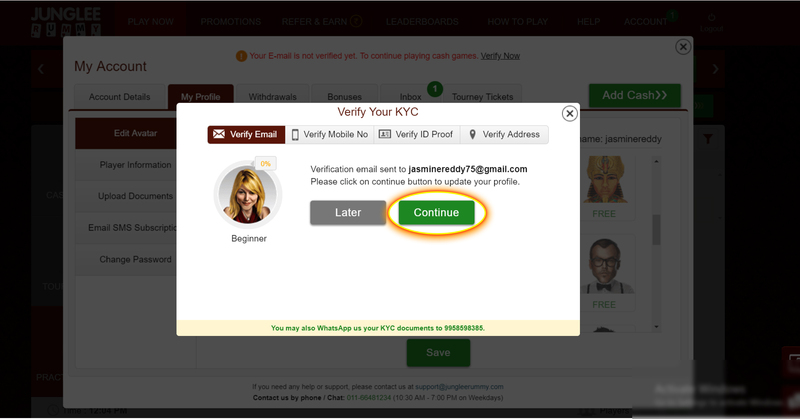 Follow the steps below and get rewarded with instant cash bonuses for verifying your email ID! 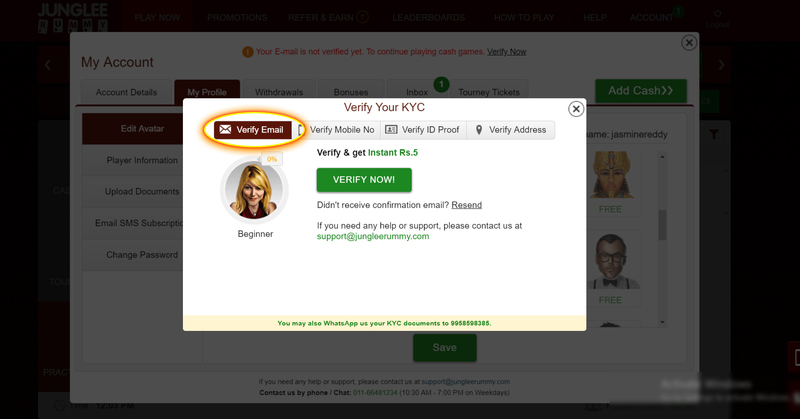 Step 3: Select the Verify Email option. Step 4: Click on the Continue button. An email with a link will be sent to your email address. 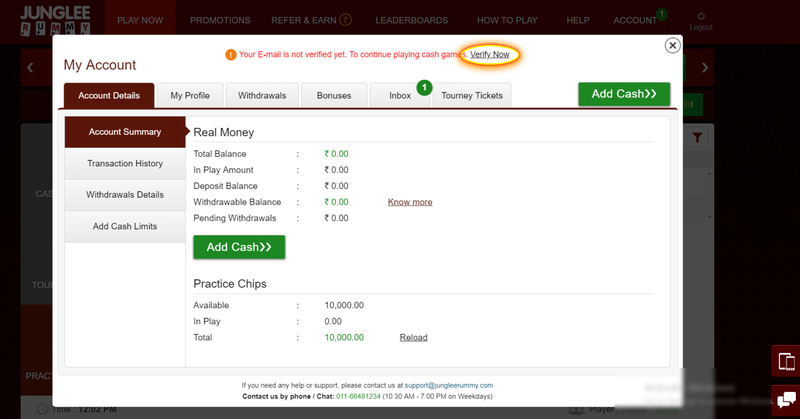 Open the email and click on the link given to verify your email address and get Rs. 5 Instant Free Cash.